Spending time with friends at New Year, a penny dropped – I do like my peace and quiet. I can do ‘gregarious’ in bursts. But in the main I’d rather be a respectful distance from folk having a good time. Ideally in the next room. Perhaps, with the passage of years, I’m more interested in knowledge than conversation? The Platonic ideal of ‘justified true belief‘ appeals far more than the garrulous Socratic Method – especially when Google and Wikipedia are such reliable and immediate alternate sources. I’m far more up for the first two legs of the Reithian ideal of inform, educate and entertain – although one excellent rediscovery this New Year’s has been a tall, well iced Gin and Tonic which puts me far more in the mood for the latter. And perhaps this is the crux of it. 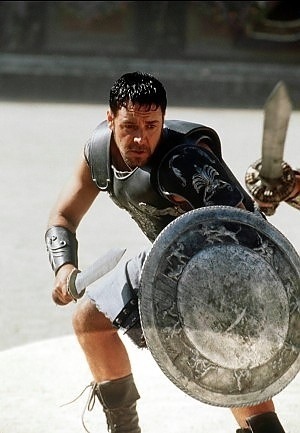 As Russell Crowe famously said to a baying crowd in Gladiator: “Are you not entertained?” I recognise a duty to engage and take part, but after a few thrusts and parries, a lap or two around the sociability track and a couple of good conversational gambits – I’m done. More booze and I’m nodding off, more chat and I’m reaching for the iPhone for facts and data… And so to the kitchen for my reliable friend the dishwasher. A pot, porcelain and pan-based puzzle of stacking and arrangement, which doesn’t answer back – peace at last. Maybe it would be more fun if you didn’t go to a party with the thought that it is your duty to engage and take part? That sound like going to work to me.